If you receive a suspicious email FORWARD it to support@globalit.com. Our security experts will be able to look at the email to determine if it is a fake. There are some hints about identifying scam email below but it is often very difficult to tell for sure since the scammers adjust their tactics. So, if you have the slightest doubt, send it to our experts for investigation. Note: Please FORWARD the suspect email don’t cut and paste the contents because valuable tracking information about the source will be lost. 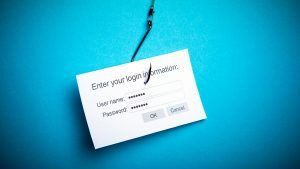 One of the most common phishing scams involves sending an email that fraudulently claims to be from a well-known company. However, it can also be carried out in person, over the phone, via malicious pop-up windows, and “spoof” or fake websites. In essence, you think you’re giving your information to a trusted company when, in fact, you’re giving it to a criminal. Fake Links – These may look real, but they can lead you astray. Check where a link is going before you click by hovering over the URL in an email, and comparing it to the URL in the browser. If it looks suspicious, don’t click. Attachments – Attachments can contain malware, so you should never open an attachment unless you are 100% sure it’s legitimate. Change your account passwords, PIN’s and Security Questions immediately. Do this for all of your bank accounts, email accounts and other online accounts. Run an Antivirus scan on your system to make sure that you did not pick up a virus. Make sure that your system and Anti-Virus software is up to date. Check your online accounts and statements vigilantly over the next few weeks and months for unexpected actions.